Get brilliantly crease-free clothes with this powerful Beldray digital 2700W steam station featuring variable temperature control so you can easily use the right setting to care for your fabrics. The station has a huge 2 litre water tank which is simple to remove in order to refill during steaming, and a carry handle for easy mobility. 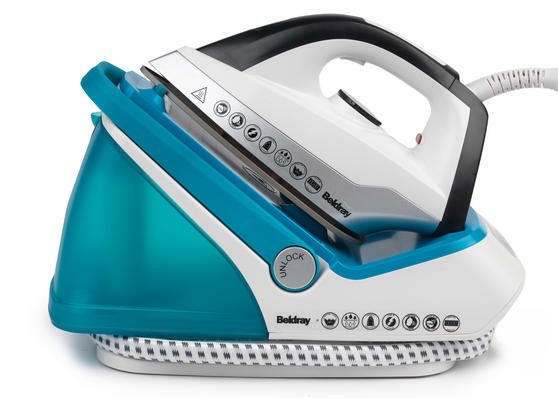 The iron has a ceramic soleplate for smooth ironing, as well as vertical steaming capabilities with a continuous steam function for beautifully easy cleaning. 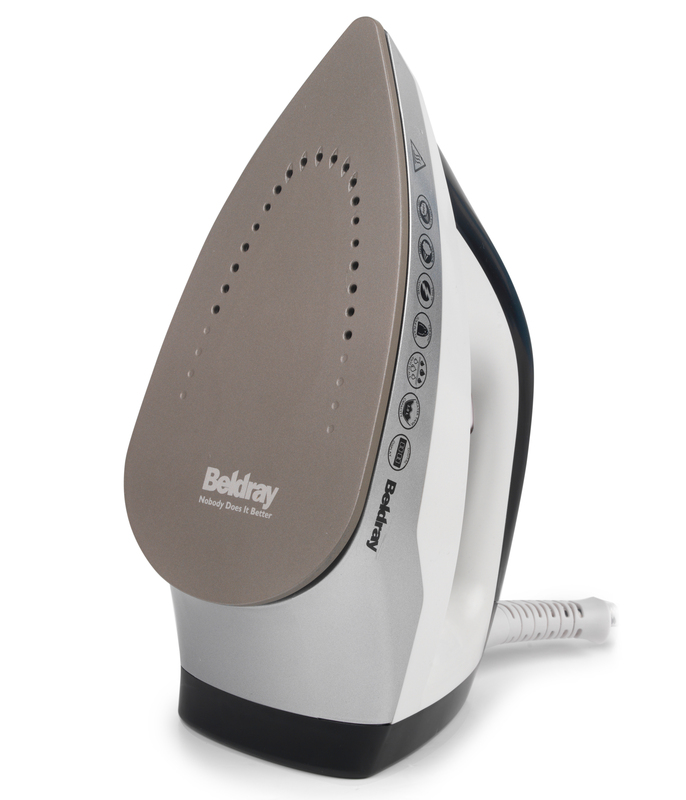 This Beldray 2700W steam station delivers powerful cleaning for clothing, furniture, curtains and more to produce outstanding results. The continuous steam function has a 100 g/min steam output, providing vertical steaming for upholstery, curtains and hanging clothes. It also carries out precise horizontal ironing with digital temperature control for an effortlessly sleek finish on any fabric. The steam station has an easy to fill removable 2 litre water tank so you can steam for longer without stopping to refill. Measuring 37l x 18.5w x 27h cm with a 1.8m cord tucked around the bottom of the station, it can all be neatly stored away after use.